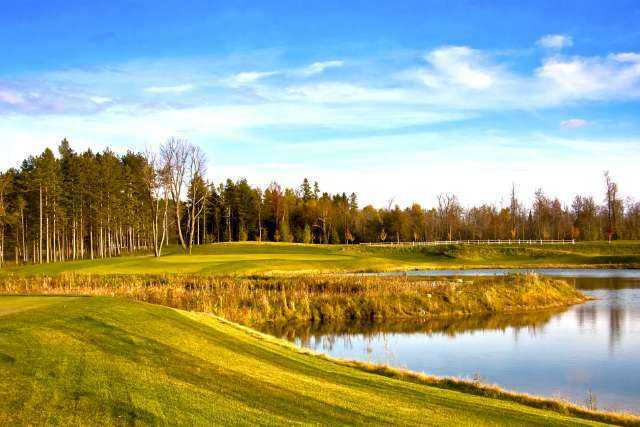 eQuinelle Golf Club is the centerpiece of eQuinelle Master-Planned Golf Course Community, an upscale residential community in Kemptville. 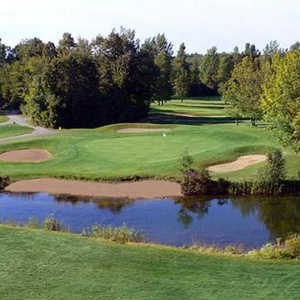 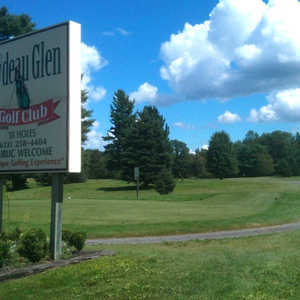 It opened in 2009, making it one of Ottawa's newer courses but it quickly garnered a following as one of the best public golf courses in the area. 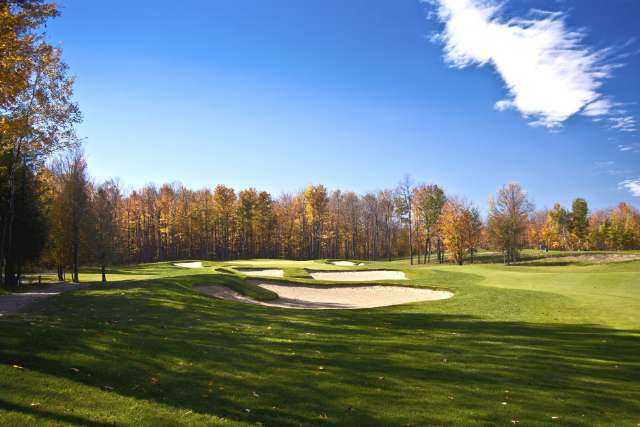 The layout features massive, undulating greens and bent grass fairways that have subtle contours. 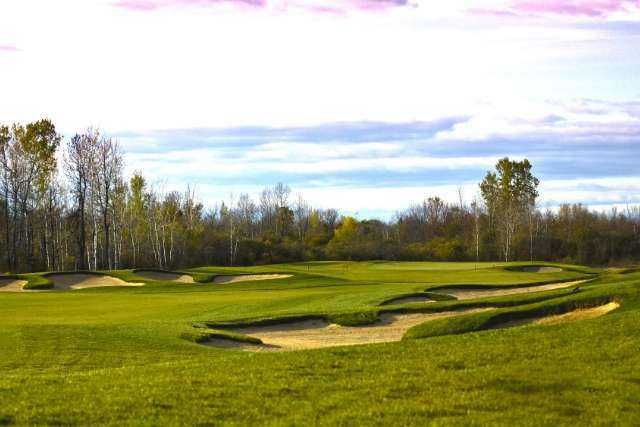 Golfers will have to contend with many large, strategically positioned bunkers and some tricky natural fescue areas. 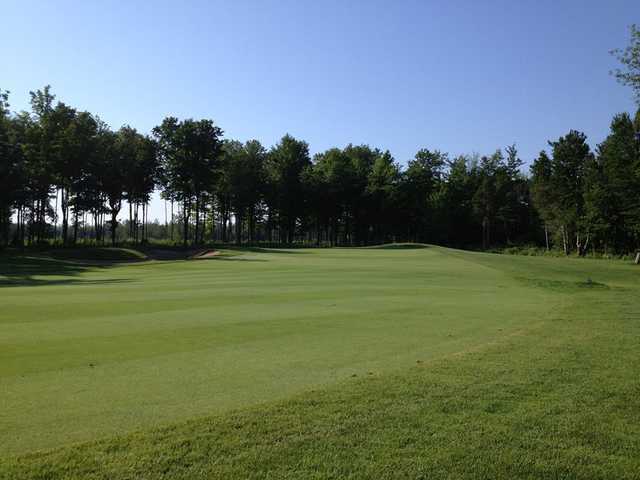 There are five sets of diverse tees, giving golfers the ability to make the golf course as challenging as they want. 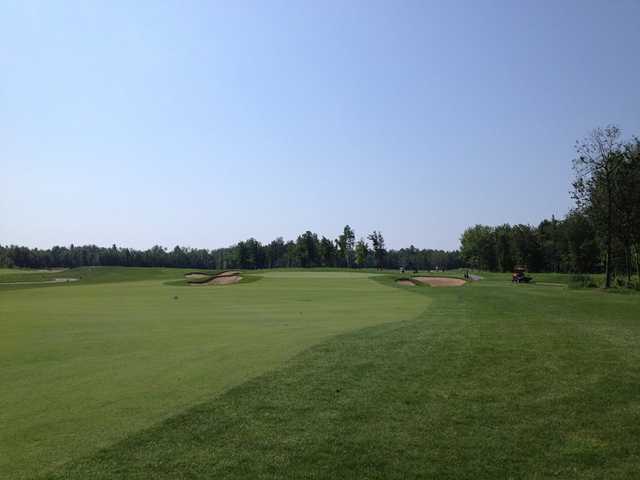 eQuinelle's signature hole is the par-3 16th. 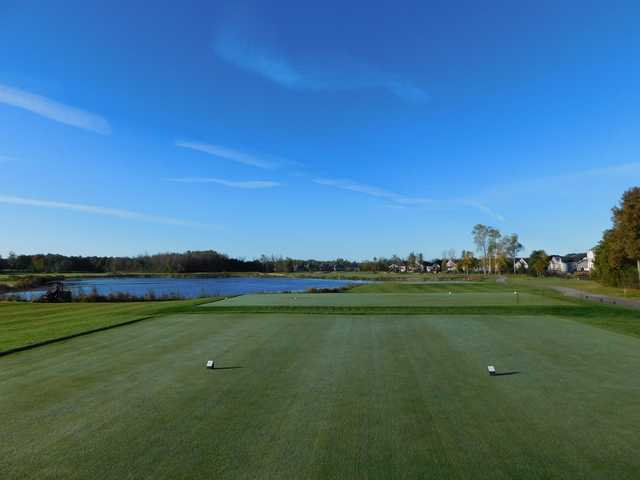 This 170-yard hole plays over water to a very wide, contoured green that slopes severely to the right. 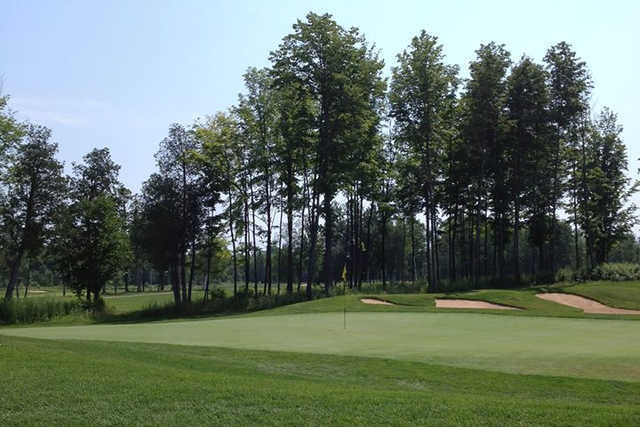 Tall maples form a horseshoe around the green and there's also a pond to the right. 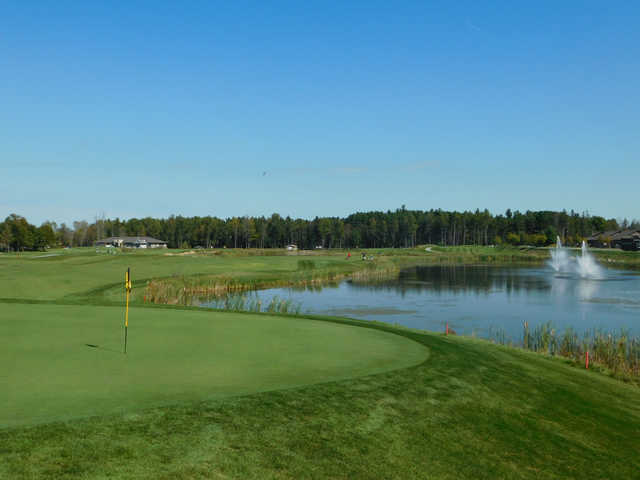 Pin placement will play an important role on this tough hole.